Spider-man: Far From Home’s trailer was released yesterday by Sony. Here we reveal everything you need to know, including trailer, release date, cast and plot for the Homecoming sequel. The trailer for Spider-Man: Far From Home has dropped, and has sent fans into a frenzy. Spider-Man: Far From Home is the 23rd film in the Marvel Cinematic Universe, and those who have seen Marvel: Infinity War will no doubt be left with tons of questions after seeing the trailer. But, if you haven’t seen the trailer yet, you have come to the right place. Here you can also read about the release date, cast and plot. Yesterday, on January 15, all Marvel fans could finally drop everything to watch the trailer. A lucky few who were at Brazil Comic-Con already knew what was in store, but others had to wait until yesterday. In the trailer we are introduced to Mysterio, one of Spidey’s oldest and most iconic arch-enemies. According to the trailer, Mysterio and Spider-Man will be teaming up to battle Hydro-Man. But considering Spider-Man and Mysterio’s past, it wouldn’t be surprising if he turns bad after all. 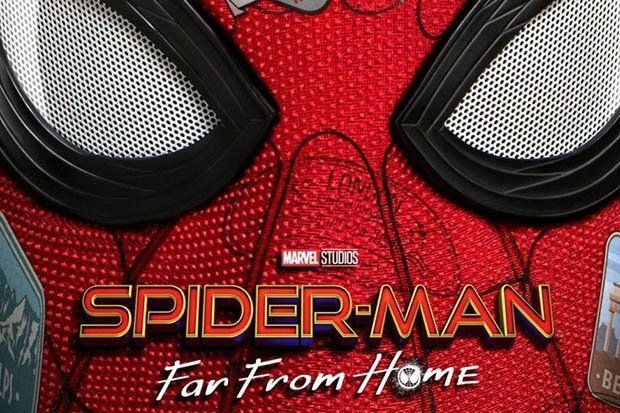 The release date for Spider-Man: Far From Home is currently July 5, 2019. Columbia Pictures and Marvel began shooting the film in July 2018, and wrapped up on October 16. The Peter Parker film will be the start of Marvel’s Phase Four, which will begin after Avengers: Endgame will bring Phase Three to an end. This sort of confirms the web-slinger will still be alive after the events of Infinity War and Endgame. Marvel Studios president Kevin Fege told IGN Far From Home takes place after Endgame, which would suggest Spider-Man is somehow brought to life after Infinity War. Of course, until it arrives we don’t know for certain when the film takes place in the timeline. It probably won’t come as a surprise that Tom Holland will return as your Friendly Neighbourhood Spider-Man. The trailer revealed there is more to find out about the story of MJ (Zendaya) and Peter Parker. 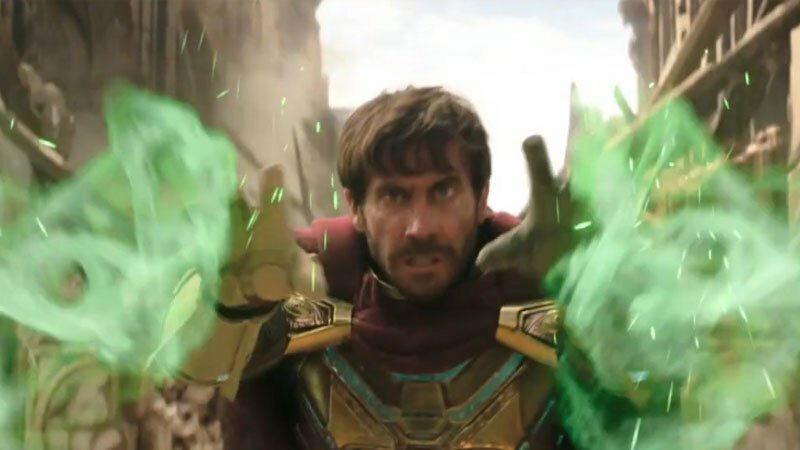 One of the major wow-factors of the trailer is Jake Gyllenhaal’s role in the film – Mysterio. The actor confirmed he would be playing the villain in early December 2018. Although Robert Downey Jr is rumoured not to be retuning as Iron Man, Samuel L Jackson’s Nick Fury will return as his mentor. Also returning is SHIELD agent Maria Hill, Fury’s side-kick, played by Cobie Smulders. Jacob Batalon will be returning as Ned Leeds, and Tony Revolori will appear as Flash Thompson. Marisa Tomei plays Aunt May Parker, while Jon Favreau returns as Happy Hogan. Human Acar has been cast as Dimitri, but that’s all we know at the moment. Before Avengers: Endgame comes out it is almost impossible to guess what the sequel will have in store for us. So far we know the film will revolve around a trip to Europe with Peter and his classmates. In the trailer it seems he is wanting to leave his alter-ego at home, but if he did it wouldn’t be much of a film. As mentioned previously, the plot will also feature a storyline between Mysterio and Spider-Man. Jacob Batalon said: “Spider-Man reluctantly saves the world again with Mysterio. Gyllenhaal said: “There are these threats to the world, the Elemental creatures, and Mysterio is someone who knows about them and who wants to make sure the world is safe from them, and Nick Fury asks him to come on and help because he’s the only one who really understands them in a way.